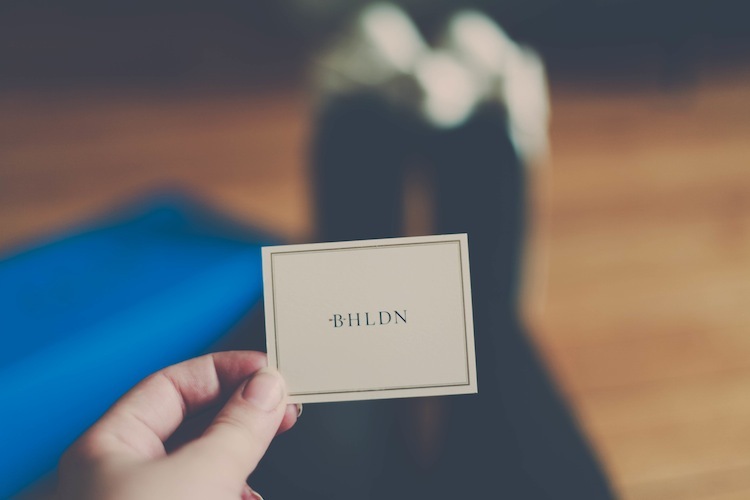 I am so excited to announce today that I have paired up with BHLDN for a fun giveaway ! 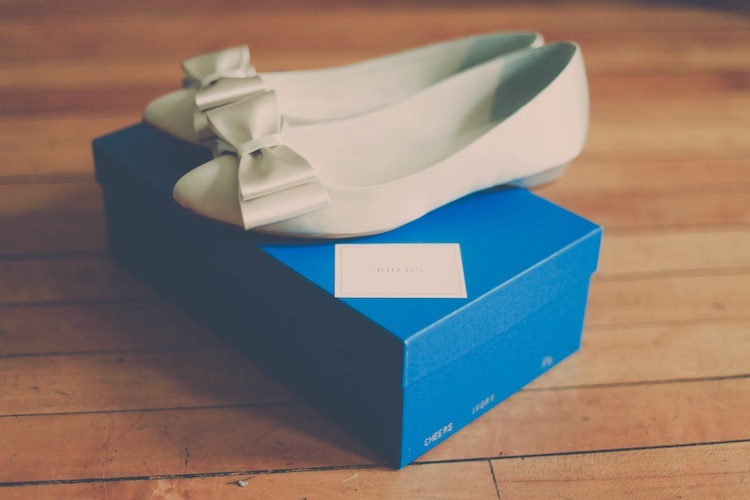 One reader will have the opportunity to win a lovely pair of shoes from BHLDN.com . For those of you who aren't familiar with the brand, they are known for their beautiful wedding gowns, evening frocks, bridesmaids dresses and basically everything for the recipe for an enchanting wedding. These flats however are pretty much great for any occasion. And of course I couldn't resist these beautiful little bows. 1.) Check out the BHLDN website and tell me which pair of shoes you would choose. Simple as that! I wish you all the best of luck! Giveaway ends in one week, 9/17 at 11:00pm EST. I adore the vintage style of the Elopement Pumps - and they're such a fun color too! I'd LOVE to rock the Bravura Sandals. They are sure to be a showstopper! think i'd go for the lille flats. thanks bonnie! LOVE the Cassiopeia Heel!! Beautiful color with a little sparkle! Statement making shoes for every occasion! Girl, I want those same adorable bow flats! So cute! I really like the Olivia Oxfords- super adorable! I love the Elopement Pumps, I have been eyeing them for months hoping they would go on sale! They are in my all time favorite color! I DIE over the Elopement Pumps. They match my sister's wedding colors and would just be perfect to wear as my bridesmaid's shoes! I'd love to wear the Lille Flats! I love bowtie flats shoes, are beautiful !! I think I'd go with the elopement pumps. I love the vintage style and color! I really love the Chantilly booties, so perfects ! Thank you and great blog! Lille Flats all the way! I love the mimosa t-straps! I love the Lille Flats! I've been looking at them for a while now, and they are still my favorites! SO cute! I'm so in love with the Olivia Oxfords! I like the Mimosa T-straps! so beautiful.. The Olivia Oxfords are darling! I looove the Lilydale Pumps! They are so gorgeous! The bowtie flats! They would be super versatile and look really mod. Love the pointed toe. I would love the Bowtie Flats too ! :) Thanks for the giveaway ! I've never heard of BHLDNI's shoes before, but they are all amazing! I am totally in looove with those Mimosa T-Straps shoes. They look so comfortable and pretty at the same time. I gotta have them! Belle Époque Heels are beautiful! Thanks for the opportunity! My faves are the Diamond-Dipped Heels ~ I think they would be so versatile! Thanks for this lovely giveaway Bonnie! Hello I actually love the Bowtie Flats. I can't wear heels for a while because of a leg injury but I would love to own it. Thank you! It Has to be the Bow tie flats too. I can see them working wonders in my everyday wardrobe! OBSESSED with the Bravura Sandals by Delphine Manivet, but I also can't resist the bows on the Andalusia D'Orsey heels. Love! Can we just talk about how amazing the Olivia Oxfords are? I'm swooning. I'm torn between two of them.. The Chantilly Booties are adorable and I love the Olivia Oxfords. It has to be the criss cross t-straps but they are all so lovely! I also love your choice the bow tie flats...great site!! Lille flats are so cuuute.. Thank you for this opportunity Bonnie and BHLDN! AH. I can't choose I love them all. I love the Olivia Oxfords. They are so gorgeous. I'm in love with the Gia d'Orsays. I adore the vintage feel of these shoes. I'm attending a very special wedding in October and I'm wearing a repurposed vintage dress and these would go perfectly. If I were to pick a pair for my wedding, I would definitely choose the Bravura Sandals. And I need a Zac Posen spring'14 green dress I saw during the runway show to go with it. It is wild, different. That bow at the back. This is so me. Oh my gosh! Their shoes are so beautiful!! It was hard to choose my favorite. I ended up choosing the Mimosa T-Straps, they are so classy and sophisticated looking! I love the details, including the slight minty color and the sheen of the silvery details. Second place was the Elopement Pumps. The color is gorgeous, the style is stunning, and pretty much beautiful in every way. Mimosa t straps all the way!! I love the Bravura sandals!! So gorgeous! I'd die if I owned them. It was so hard to just pick one! The bow flats are adorable to! It's so hard, but I think I would choose the Mimosa t-straps. The Elopement Pumps are adorable! I would get those blue elopement heels! I really like the mimosa t-straps. I just love the Olivia Oxfords. Beautiful! I absolutely love the Elopement Pumps! The robins egg blue is adorable and I could match them with so many outfits. I also love how they aren't too tall so I could wear them casually. Love them! Hey Bonnie, I have been looking for a pair of shoes that I could both wear to work and are green/blue, so I'm going with the Mimosa T-straps. I'm in love with the Baguet d'Orsay Heels! They would go perfectly with my dress! I love BHLDN! I would LOVE the Olivia Oxfords, esp. for my 2 year anniversary shoot!!! I actually love the Bowtie flats! They are really cute! The Gia D'Orsays are TO DIE FOR. Oooh, this is such a lovely giveaway! I'm really loving the Mimosa T-Straps and the Bowtie Flats. They're my favorite on the site. The goldleaf peep toe shoes are screaming my name. I'd wear them with EVERYTHING, maybe even my wedding dress! I absolutely love the Mimosa T-Straps! SO pretty and vintage looking! I love the bow tie flats! The Bravura Sandals are to die for, so I'd love to get my hands on a pair of those! So cute! I've never heard of them before - excited to become a fan! Obsessed with all of them but maybe the Mimosa T-straps? lace is never fail when we want to show off our inner "bridal wannabe"
I fell in love with the bowtie flats! I'm crazy for these shoes! I hope this giveaway opens internationally because I would love to win myself a pair of chantilly booties! I like the Bowtie Flats just like yours! the chantilly booties are so unique and beautiful! the bow is just so cute and it can give me a little bit of height! I'm getting married in March! I really love the Lille Flats! what gorgeous shoes, definitely bookmarking this site! If I won, I would love the Oyster Bed D'Orsays! Oh, the Bowtie flats and the Lille flats are absolutely perfect. As if they are from a dream. Thanks so much! Your blog is an inspiration. I like the Goldleaf Peep-Toes. So so pretty! ah, i compltely love the lille flats! Omgoodness Bonnie I'm just so GRATEFUL that you actually introduced this site, the shoes are beyond dreamy. So resplendent and dreamy, have never seen an online store with such a HUGE ARRAY of dainty, ladylike shoes!! I love the elopement shoes. the name made me laugh. I don't even know where I would wear such fancy shoes, but I love the Andalusia d'Orsay Heels! I like the bowtie flats. I love the diamond-dipped heels! So cute! I love the Mimosa T-Straps! They are perfect for any occasion. I love the Bowtie Flats! So beautiful! The Mimosa t-straps are perfection! I would choose the Lille Flats! I'm most comfortable in a pair of ballet flats and a real sucker for lace, too! I don't think I've ever seen shoes this cute. I absolutely love the olivia oxfords--the most elegant, beautiful pair of oxfords I have ever seen! By the way your blog is awesome. I love the Bow-Topped Slingbacks! The flats you picked are super cute! Gah, those Lillie flats are too adorable. I would wear them to sleep in if I could. at first i i thought the olivia oxfords were the ones, but then i scrolled further and saw the bravura sandals. stopped me dead in my tracks! The elopement pumps are simply gorgeous! Ah, that robin egg blue is to die for. I loved the Lillie flats, they are adorable! Oh my, the bowtie flats are too adorable! The little bows are darling. Love these cute Bravura sandals. I'm so keen on the Oliva Oxfords! Thanks for the giveaway as I'm always drooling over the shoes on Bhldn! The Elopement Pumps are the cutest things ever! The Chantilly Booties embody class and elegance, with a modern twist! They are perfect for fancier occasions, yet they can be dressed down for daytime as well! BHLDN brings out the feminine side in any girl! P.S. I love your blog- a true inspiration for many! love the DIAMOND-DIPPED HEELS, gorgeous! Lille flats are so feminine and that sparkle on the heel is really cute. Too lovely. Oh, definitely the Olivia Oxfords, they're beautiful! The Lillie Flats are just GORGEOUS! What a wonderful giveaway! I love the mint Mimosa T-straps! The Olivia Oxfords are adorable!! I love this giveaway! I like the Mimosa t-straps. So pretty! The gold leaf people toes are adorable & perfect for the holidays! Such a cute store! I would definitely get the CHANTILLY BOOTIES! So cute! I have fallen head over heels in love with the Bowtie Flats. They are absolutely gorgeous! The Olivia Oxfords are just gorgeous! I cant decide between the Lille flats and the diamond dipped heels. the Elopement Pumps are to die for! so precious! I am in love with the bravura sandals! Closely followed by the gia d'orsays and the gold leaf peep toes! Thanks for a fab giveaway! I love the mimosa t-straps! Heavenly! You're right, the Bowtie Flats are so great! But I also love the Mimosa T-Straps. So vintage and lovely! The Bowtie flats are perfect! You are so sweet! I would definitely choose the elopement pumps! They are to die for. They're all beautiful, but I love the Mimosa T-straps! The Mimosa Tstraps are just divine. Love your blog! Those Olivia Oxfords are the bee's knees. Definitely the Lilydale Pumps. Simple with just the right flair. The Lillie flats are really beautiful! Being such a tall girl, I don't often find flats this ladylike to suit my style. 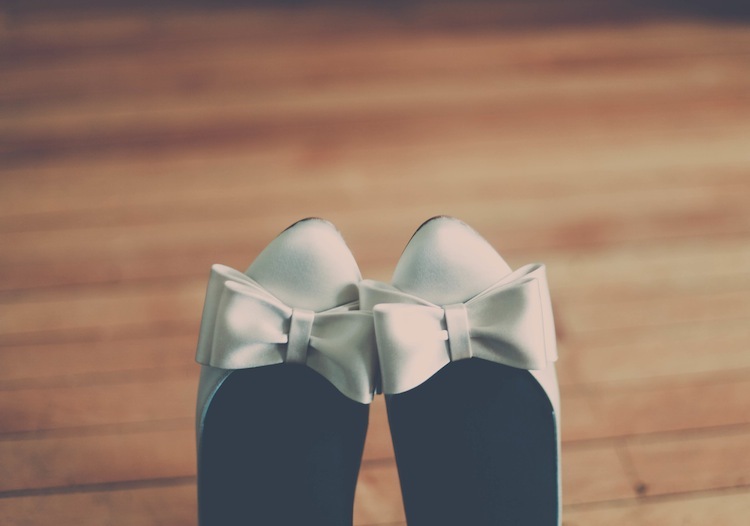 I want those white satin bow tie flats, they are lovely! I would choose the Belle Epoque Heels. They're just so divine. I would go for the mimosa t-straps. I would choose the Bow-Topped Slingbacks! They would match my wedding dress perfectly with the adorable bow! Thanks for giving me the chance to win them, Bonnie! the elopement pumps are amazing! love!! The Baguet d'Orsay Heels are bananas! Love them. They'd be perfect for my roaring 20s wedding. Thanks for the awesome giveaway! I would like the lille flats. I love the bowtie flats, so pretty!! It was soo difficult choosing a pair! But I made up my mind and I chose the Cassiopeia Heels. They look super elegant and classy! Thank you do much for doing such a cute giveaway!